Setting up a WooCommerce site may not be as difficult as your peers will have you believe. In fact, every e-commerce site owner needs to consider opting for WooCommerce at least once before kick-starting their online business. While, the basics like finding a reliable hosting company is the same for all e-commerce sites, there are a few differences that make setting up WooCommerce a lot easier and cheaper. 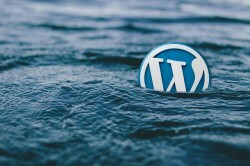 Selecting a managed WordPress host can help you bypass the need of self-installation of WordPress. This will bring you closer to establishing your e-commerce store within minutes. In any case, you must remember that this leading e-commerce plug-in from WP is free. WooCommerce & WordPress are free, so where does the cost come from? The cost of an e-commerce store will depend upon the products and the services. Your brand will determine a huge part of the cost involved in the website development process. Several business owners come with the idea that developing any website with WooCommerce and WordPress is free. However, that is not true. Although WordPress is an open source platform that supports all sorts of website development practices, there are several third-party services you will need to avail during the website development process. It is the same for WooCommerce. Therefore, your ecommerce development company can charge you a pretty buck or two, when the time comes to arrange for hosting, domain, security certificates and more. What are the costs of the fundamental parts of a WooCommerce site? You can find some e-commerce themes on WordPress. The best ones are of course premium. You should choose themes that are specific to WooCommerce. Coming across free themes like these are rarer and opting for the paid premium version, of course, ensures better compatibility and services. It is needless to say that you need responsive themes with clean codes and lightning fast designs. Your theme will determine the user experience (UX) to a significant degree. Responsive themes are necessary for all e-commerce stores, especially the ones, who are not making a move towards mobile applications. The standard sites that sell WooCommerce themes usually price them between $20 and $100 (onetime payment or yearly payment). Managed WordPress plans are the best for WooCommerce. Almost all the leading websites have these plans. They can cost you a bit more than the regular shared hosting plans, but they are faster, and they provide personalized solutions for each developer. You can end up finding a reliable managed to host for as less as $10, or you may even have to pay as much as $100 monthly for the same. Nonetheless, make sure your managed hosting provider has at least 99.98% uptime and 24×7 dedicated customer service. There is no place on the Google SERPs for websites that do not promise high levels of security. Your website needs an SSL certificate on top of the regular HTTP badge. Google has declared their intention to flag all HTTP sites after July 2018 as “unsafe.” You should ask for your website’s SSL certificate from your managed hosting services. In case, you do not want to opt for managed hosting right now; you will need to pay for the SSL certificate to a third-party service. This can cost you about $50 yearly. Aside from the fundamental hosting necessities and security needs, your WooCommerce will need the help of plugins to complement shipping functions, payment facilities and product cross-selling/upselling functions. The FreeWooCommerce.com site has downloadable extensions from PayPal, Amazon, and Stripe. These will allow your e-commerce website to accept payment via several clients using varied platforms. Shipping extensions might not be so easy to find, especially if you are looking for freebies. You will need a shipping plug-in if your store sells goodies to people in your locality or a global customer base. The UPS, FedEx and USPS extensions are available at WooCommerce.com for around $79 per year. Email marketing campaigns might not be a necessary part of your website theme’s core code, but any e-commerce site needs an email list and a dedicated email marketing client plug-in to help with their outbound marketing effort. MailChimp and Constant Contact plugins come for $49 each, and you can download them from the official WooCommerce website. SEO extensions are mandatory for any website wishing to increase their visibility to their target audience. Yoast SEO is, of course, the first choice for all WordPress users since it offers the most wholesome optimization options for websites of all kinds. It is even perfect for e-commerce stores, and so is All in one SEO customized for WooCommerce. Security of your website will determine the UX. Shared hosting platforms call for enhanced security measures. While you will find some plug-ins that promise complete security monitoring, you should always go with the ones most trusted by the other developers. Sitelock and Sucuri are the top-rated plug-ins that protect against malware, ransomware and DNS attacks. The complete security monitoring and malware protection package can cost you close to $299, depending on your specific needs. In addition to these expenses, you will also have to tackle domain costs. The total cost of developing a fully functioning website and keeping it running can be around $1000. This is usually a yearly cost. The lion’s share of the cost comes from security needs, hosting needs and extensions. Website maintenance can attract added costs, in case you do not find a competent and up-to-date hosting service. The amount can seem exuberant initially, but when you compare that with the cost of setting up and maintaining a land-based store, it seems like a pittance. 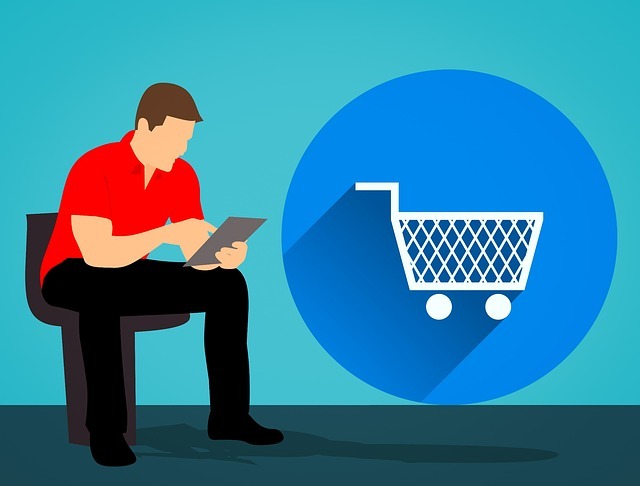 Most business owners are either capable of paying for the e-commerce website development process, or they find alternate funding sources that can aid them financially.